Agriculture is humankinds oldest and still is the most important economic activity. Robotics and automation can play a significant role in meeting agricultural production needs. Advances in sensors and control systems allow for optimal resource and integrated pest and disease management. 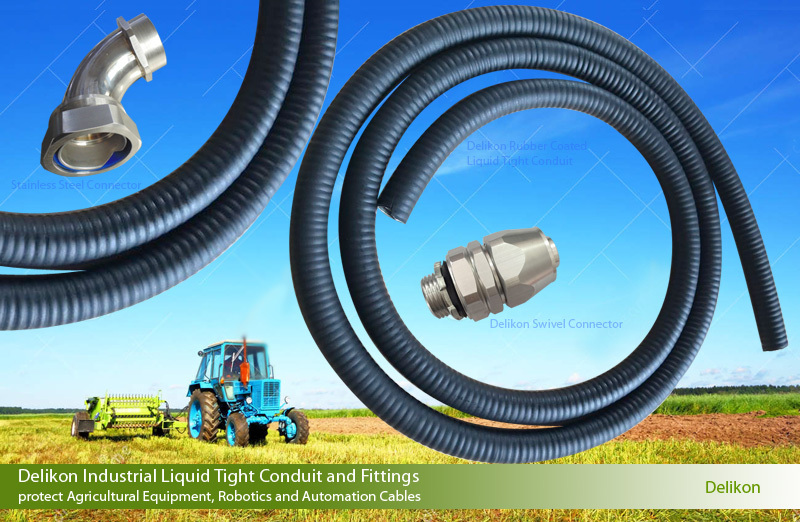 The mission of the Delikon Industrial Liquid Tight Conduit and Liquid Tight Fittings is to provide reliable protection sheath to Agricultural Equipment, Robotics and Automation Cables, sensors and control systems cables, enabling safe, efficient, and economical agricultural production.